Download the Pluckers Mobile App! 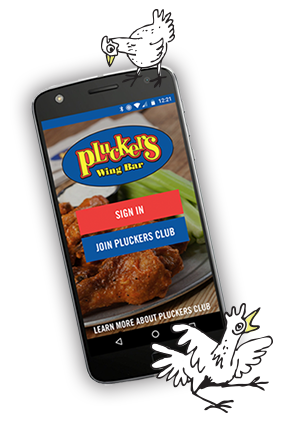 We are very excited to announce that the Pluckers Club is moving to a mobile app! That’s right! You can ditch that Pluckers Club card for good! •	Participate in challenges to unlock achievements and earn points! •	Order Pluckers to-go right from the app! •	Pluckers Club specials, free birthday meals, and other rewards available to redeem directly from the app! There are a few things to note with the mobile app. 1. 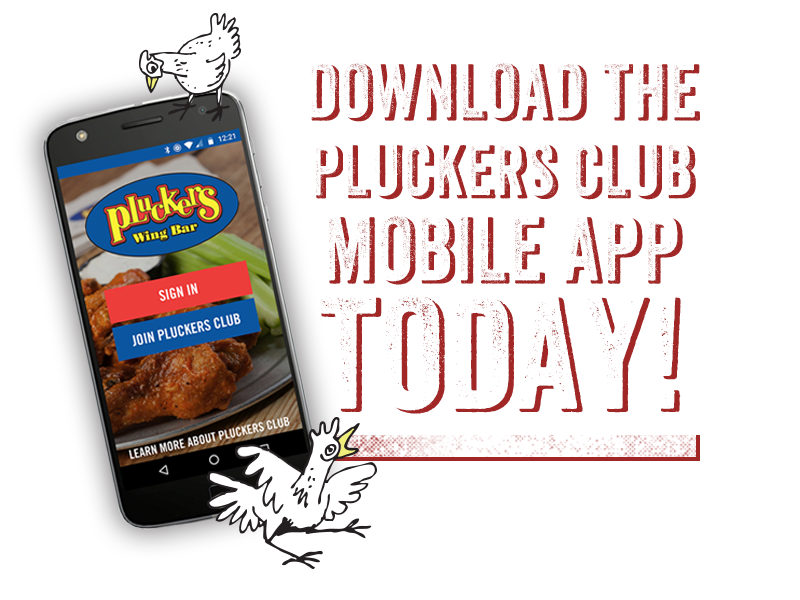 All members must download the mobile app to participate in the Pluckers Club and Pluckers Club Lite. We will no longer be able to accept physical cards once the app launches across all locations. 2. Free birthday meals or desserts will only be available for up to three children per Pluckers Club or Pluckers Club Lite member. 3. When merging over to the new mobile app version of the Pluckers Club, all existing Pluckers Club and Pluckers Club Lite members will need their current Pluckers Club card number and email attached to your account.